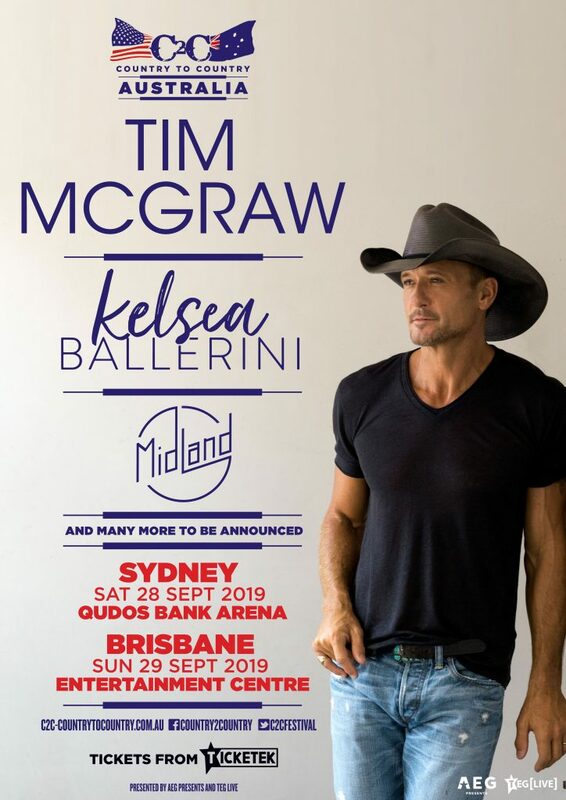 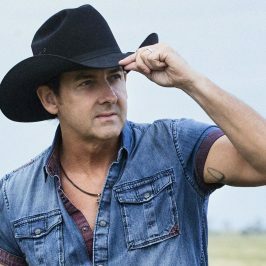 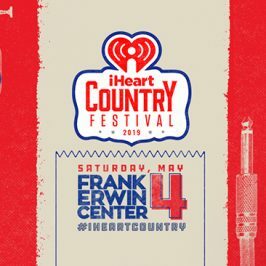 After entertaining country music fans across the United Kingdom and Europe since 2013, Country to Country (C2C) is coming to Australia, at Sydney Qudos Bank Arena on Saturday 28 September 2019 and Brisbane Entertainment Centre on Sunday 29 September 2019, headlined by superstar Tim McGraw. 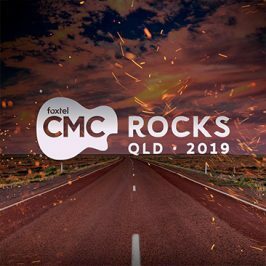 Also appearing at the very first C2C Australia will be our adopted Aussie Kelsea Ballerini, along with Midland, and many more international and local artists to be announced. 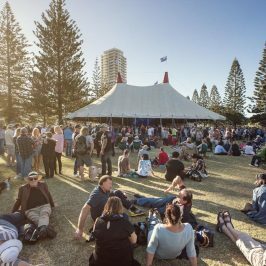 Presale tickets will be available via Telstra Thanks® from 10am (local), Wednesday 14 November and the general public on sale commences from 12 noon (local), Friday 16 November through Ticketek. 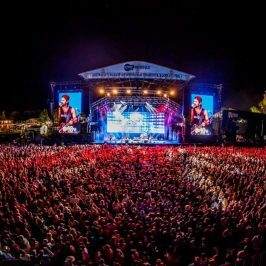 C2C Australia is a 10-hour festival of country music spanning three separate stages – Mainstage, “The Town Hall” secondary stage, and a third stage where new and emerging country music artists will have the chance to showcase their music.